The first week of NFL action means I’m a little late in getting started today. But the movies don’t stop and we are ramping up into the fall movie season. It’s starting slow for sure, but we’ve still got a couple of flicks to talk about. It’s dolphins and no good deeds! You jones-ing for more hot dolphin action? Flippers and fins flying everywhere? The squeaks and blow holes of your average dolphin lighting up the big screen? Ooh baby, I’m getting all worked up just thinking about these mammals/reptiles/fish whatever they are. I don’t have time to look it up; I’m just too excited for dolphins, baby. Dolphins! Has a safer movie ever been put on the screen? I doubt it. 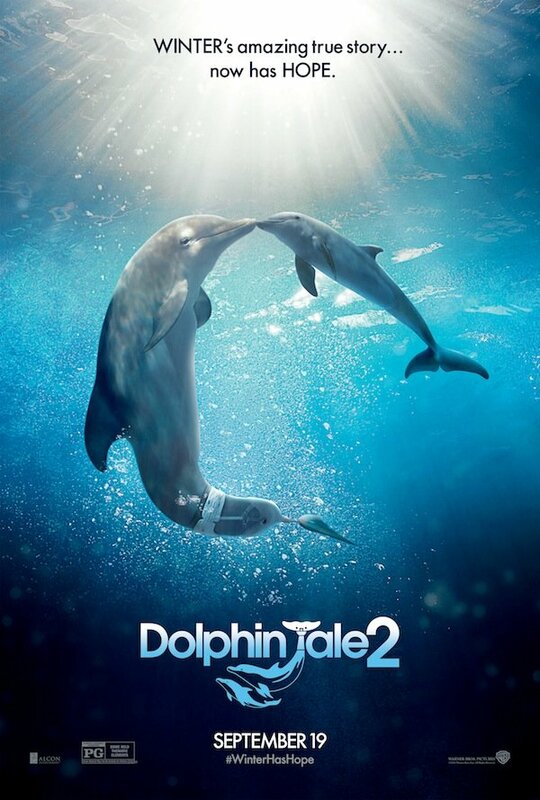 Well, maybe the first movie in the Dolphin Tale franchise. That flick told the story of a rehabilitated dolphin who is given a second chance at life after being given a prosthetic tale. And there’s Harry Connick Jr. And a kid with no friends who also helps the dolphin. Though based on a true story, it came through a Hallmark movie with some extra schmaltz thrown in on top. I can’t help but assume they laid it on pretty thick for the benefit of the Kleenex companies. This new one appears headed to an even higher form of sap. If the trailer can be believed, this movie is about 15% dialogue or story and 85% inspirational song and cute dolphin shots. Oh, and Harry Connick Jr., of course. Dolphin Tale 2 is about saving yet another dolphin. It doesn’t appear to have any conflict or antagonist. Just dolphins, dolphins and more dolphins. BR<> That first Dolphin Tale (82%) scored really well with critics and director Charles Martin Smith is back for round two. I suspect this one finishes lower than the first, as it appears a simple retread. Something to put on screen because the first one scored so well. My bet is there is no Dolphin Tale 3. Seriously, when are people going to start learning about basic truths set forth in the movies? Some of these things are so freaking obvious. If you are called back in for one last job, it means someone is about to double cross you. If you make a bet with your buddy about a woman, you will end up falling in love with her and won’t be able to tell her about the bet that started it all. And if it there’s a storm and a stranger looking for help shows up at your door, that person is going to try and kill you and your whole family. These things are irrefutable. When will people wake up? 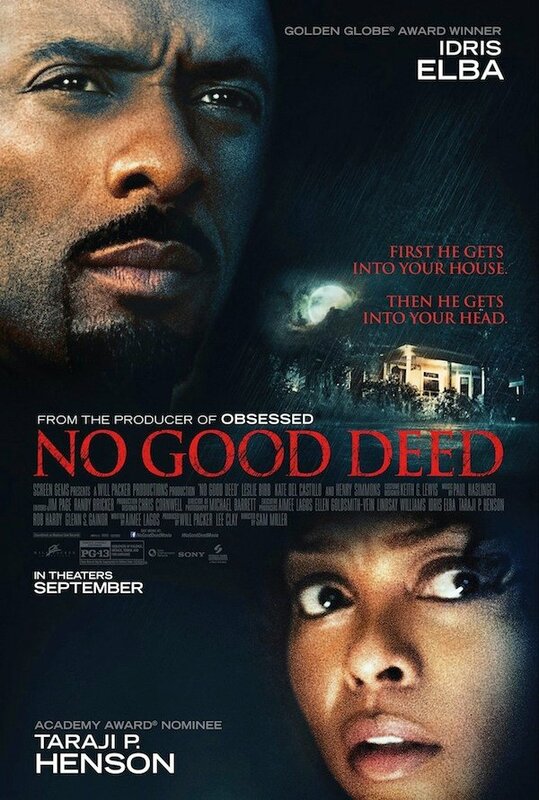 In all seriousness though, I’d probably let Idris Elba into my house also. The dude just seems like he’s got it all put together. So I suppose I can forgive the woman here, who unwittingly (and presumably a bit hesitantly) lets a psycho into her house to terrorize the whole family. The rest of the flick looks a like a slow burn. Elba gets increasingly hostile. For some reason they all just can’t run away and you’ve a thriller to the bones. It’s tough to know how this flick will score with critics. We’ve got Sam Miller as director, a dude whose resume is primarily filled with television. Good television mind you, but television nonetheless. And the plot has been done a thousand times before: innocents trapped in a house with a crazy dude looking to kill them (but not right away). Having been down this path before I’d suspect the flick needs to get just about everything right because none of it will be treading any new ground. I think critics fall a tad below the middle on this one, with Elba giving a strong performance but unable to overcome a somewhat tired plot. And don’t forget to learn from your movies folks. They can save your life. Which of my predictions will come closest? Only one movie was released last week, and I missed by a country mile. The Identical (Predicted: 39% Actual: 4%) will probably go down as one of the worst, widely-released movies of the year. A 4% with over 50 reviews in the books is abysmal. Honestly, I should have seen this coming considering the release date. Movies that hit the screens around Labor Day are usually a studio bottom feeder and they get buried in the end-of-summer time period because everyone is outside enjoying the sun. And yet I shot a prediction close to the middle and got crushed. I’ll keep it in mind next year. Next time around is a huge one with maze running, people leaving, walking among tombstones and scary Kevin Smith. It’s going to be a Rotten Week!